First, the good news: if you live in Florida, you don’t have to worry about deer on the roads as much. A recently published report found that the state is in the bottom five states when it comes to deer crashes. 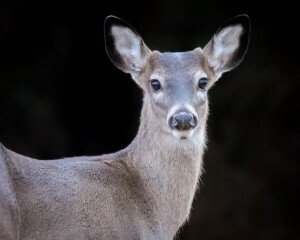 The odds of being in a car crash involving a deer are about 1 in 930. Here’s the bad news: the chances of being in a car accident involving deer more than double in October, November, and December. Fall is the start of deer mating season, so deer are more on the move. In addition, it’s also hunting season and harvesting season for some crops, which also can move deer out onto roadways. While Florida has a lower car-deer collision rate than states like Georgia and North Carolina, deer still do cause traffic accidents here. Stay extra alert in known deer zones and in forested or rural areas, which have larger deer populations. If you’re driving between dusk and dawn, be extra vigilant as deer are most active during these hours. 2) Be prepared for anything. Always wear your seatbelt and keep your car in good repair. Scan the road for signs of danger and for deer. Keep in mind that deer move very quickly and tend to travel in groups. Keep alert for any movement. If you’re driving at night and there’s no traffic coming towards you, use your high beams. You’ll be able to see further and possibly be able to spot danger in time. 3) Only drive when you are in good condition to do so. Driving drunk, tired, or distracted is dangerous at any time. It’s especially dangerous in any areas where deer collisions are likely. If your full focus isn’t on the road, you simply won’t have time to react in time to avoid a collisions with a deer. And if you’re comforting yourself with the idea that deer crashes are rare in this state, keep in mind that Florida has many types of wildlife. Even if you don’t hit a deer, you’re more likely to hit a bird, pet, pedestrian, or other car if you’re driving drunk, fatigued, or distracted. 4) If you do see a deer, avoid swerving or slamming on the brakes. Try to brake firmly, but with enough time to let any cars behind you stop, too. Swerving increases the chances you’ll crash and might not save the deer. Keep in mind, too, that deer are trying to get away. Once they spot your car, they will generally run away. If you have been injured in a car accident, even with a deer, you need some answers. Did your brakes fail to act correctly, leading to the accident? Were there inadequate signs or road flaws that contributed to the collision? In Hollywood single vehicle accidents, you may still be able to file a claim or negotiate with your insurer. If you’d like to find out more, contact Flaxman Law Group for a free consultation.